TAN accomplishes these aspects of fostering entrepreneurship and community development through two of its programs: TAN Conference (TANCon) and TAN Empowerment program (TEP). TANCon is now organized annually on two continents - Africa and USA. 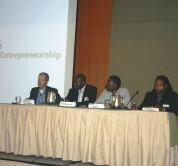 The African Network (TAN) Entrepreneurship (TANCon) Africa 2014 in Lagos will feature entrepreneurs, business leaders, public servants in the fields of entrepreneurship, representative from the Federal Ministry of Trade and Industry, entertainment and fashion entrepreneurs, African Venture Capitalists and individual investors including international financial and investment corporations. More importantly, there will be Business Plan Presentations as well as the inaugural Launch of TAN Incubation Program for Entrepreneurs. The organizing team is excited about this conference and look forward to seeing and entertaining you in Lagos, Nigeria between October 17-18, 2014. 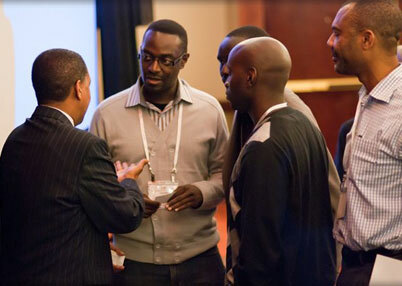 For more information about TANCon 2014 Africa (presentation, sponsorship, etc), please contact us at info@theafricannetwork.org).